India’s expected SCO membership, Indian Prime Minister Narendra Modi’s first official visit to five Central Asian Republics, combined with its 12-point “Connect Central Asia” policy appear be indications of New Delhi’s pivot to the emerging Eurasian region. Prime Minister Narendra Modi’s forthcoming visit to Russia to attend the 7th BRICS summit as well as the 15th SCO summit would add distinct muscle to one of the emerging strategic directions of Indian foreign policy – towards Eurasia. 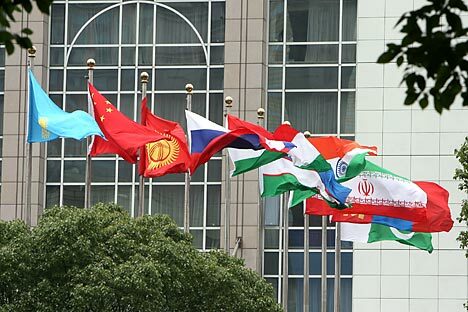 India will most likely be admitted into the Shanghai Cooperation Organisation (SCO) at the summit scheduled on 10th July at Ufa, capital of Bashkortstan. India’s likely admission into the SCO comprising Russia, China, Kazakhstan, Uzbekistan, Tajikistan and Kyrgyzstan, combined with the Indian prime minister’s visit to all the Central Asian Republics (CARs) in one trip would strengthen the Eurasian direction of Delhi’s foreign policy. India, an observer in SCO since 2005, placed a formal application for full membership at the 14th summit of the regional security organization at Dushanbe in 2014. Lifting a moratorium on new membership in 2010 opened the door for admission of new members in the regional security organization. Although Russia was keen to admit India into SCO from the start, Chinese reluctance proved a hurdle to India’s entry. With Chinese opposition to India’s full membership in SCO subsiding, and membership qualifications set, India’s entry appears a foregone conclusion. SCO members have realized that India’s membership would enhance the prestige and weight of the organization. Pakistan is also set to be admitted into the SCO as a full member. While India, as the world’s largest democracy, would enhance the SCO’s global and regional profile, New Delhi expects to reap dividends in areas like combating terrorism and trans-national crime, boosting economic growth and augmenting access to the region’s vast energy resources. Since its inception in 2001, SCO has focused on two major areas, economic development and counter terrorism, both close to India’s heart. Russia is India’s time-tested, special and privileged strategic partner. India’s SCO membership would provide the opportunity to engage with China on a stronger pitch to deal with problems concerning Afghanistan and Central Asia, which fall in India’s extended neighbourhood. The imminent withdrawal of international forces from Afghanistan has added a new dimension to India-Central Asia ties, particularly in the context of difficult India-Pakistan relations. Terrorism emanating from this region can have serious implications for India’s security. Failure of the Afghanistan project will trigger serious security challenges for all its neighbours including India, Russia, China and Central Asia. Relative stability in Afghanistan will, however, open up tremendous economic opportunities. India is banking on the SCO contact group on Afghanistan, expected to play a more effective role in future. The three evils; religious fundamentalism, extremism and terrorism; constitute a serious threat not only to Afghanistan and Central Asia, but also to the three major Eurasian nations, Russia, India and China. India’s SCO membership would allow it to participate in the regional anti-terrorist structure (RATS) based in Tashkent. Three SCO members, Russia, Kazakhstan and Uzbekistan, have vast energy reserves. India’s SCO entry would facilitate its participation in Russia-backed SCO energy club, brightening prospects for greater access to vast energy resources. India has made significant investments in the energy sectors of Russia and Kazakhstan. Handicapped by lack of direct transport access to Central Asia, India could use SCO as a vehicle to strengthen trade and economic cooperation with Central Asia. India hopes the Chabahar port, developed by it in Iran, will become operational soon. Linking Chabahar with the Zaranj-Delaram road built by India in Afghanistan and with with the International North South Transport Corridor will give India access to Afghanistan and Central Asia, bypassing Pakistan. This would help increase Indian presence in Central Asia and possibly Afghanistan. The strategic triangle, of Russia, India and China, which has witnessed slow development since it was floated in December 1998 by former Russian Prime Minister Yevgeny Primakov, largely because of India-China contradictions, is likely to acquire stronger teeth within SCO. By balancing their interests within SCO, Moscow, New Delhi and Beijing can play an important role in geopolitical reconfiguration of the vast greater Eurasian region by keeping other powers out. Prime Minister Narendra Mody’s visit to the CARs during this period is the first of its kind in Indian diplomacy. Four of the five Central Asian countries he is visiting; Uzbekistan, Kazakhstan, Tajikistan and Kyrgyzstan, are SCO members. India has inked strategic partnership agreements with three of them; Kazakhstan, Uzbekistan and Tajikistan. India has adopted a “Connect Central Asia Policy” to have a greater footprint in that strategically important region, but its implementation has been slow. But the focus is back on the strategically vital region.